Robert Yeo was born in 1692 in Merton and married Johanna Arscott on the 3 rd January, 1718 in South Tawton and died on 28 Jan 1772 in South Tawton at the age 80. Johanna died on 22 Dec 1741 in South Tawton. Robert was the progenitor of all the South Tawton Yeo branches. He moved from Merton in Devon to South Tawton on his marriage to Johanna Arscott . Johanna was the daughter of Richard Arscott a weaver and probably a distant relative. When Joanna died he remarried Elizabeth Jordain and they had a son, Joseph Yeo , from whom there are many descendants. One of Robert and Johanna's children was Robert Yeo born in 1732 in South Tawton who married Jane Hurchill . Robert Yeo was born in 1732 in South Tawton and died there on the 12 th March, 1798 aged 66. Robert married Jane Hurchil l . on the 23rd September, 1754 at South Tawton Parish Church.. Jane was born in 1732 in South Tawton. Robert could write and signed his name on his marriage certificate. They must have lived at Slow Hill as in 1774 this advert appeared in the Sherbourne Herald and Robert is mentioned as a tenant at will. Joseph took on the position of schoolmaster in 1795 when the original schoolteacher was evicted. He was also a bellringer at the church. Robert Yeo , baptised. 15 Apr 1787, South Tawton and buried there in 1828, He married Sarah Harvey and their son Joseph , a tailor, emigrated to Canada. His grandson, Lewis Harvey Yeo was killed in first world war on the 12th April, 1917 in France. James Yeo , baptised 05 Oct 1794, South Tawton; d. 1859, South Tawton married Ann Counter and he was the overseer of the Poor in South Tawton and schoolmaster at South Zeal. He had beautiful neat handwriting when signing documents. His son James became the vicar of Edenfield Parish Church in Lancashire. Ann Yeo , baptised 29 Nov 1807, South Tawton. Richard & Jane moved to Kingsteignton in the early 1800's and both died there. Jane Yeo , baptised. 02 Nov 1788 in South Tawton who married John Gay in 1810, at Kingsteignton Parish Church. William Yeo , born 1791 in South Tawton, Devon and was buried in Kingsteignton and married Mary Stanlake in Kingsteignton, their daughter Sarah Yeo married Richard Shapter ..
Ann Yeo , baptised. 04 Jul 1793 in South Tawton. Mary Yeo , born 1794 in South Tawton who married James Coombes , on the 25 Sep 1817, at Kingsteignton Parish Church. Elizabeth Yeo , born. 1806 in Kingsteignton who married William Towell on the 15 Dec 1825 at Kingsteignton Parish Church. Robert Yeo was born in 1758 in South Tawton, Devon and was buried on 11 th September, 1834 in South Tawton, aged 76. Robert married Susanna Webber on 11 Nov 1787 in South Tawton, Devon and was then 29 years of age. Susanna died in 1805 in South Tawton, Devon and was buried on the 14 Apr 1805 in South Tawton, Devon. Robert was also a cordwainer but these were extremely difficult times. The Napoleonic wars caused massive poverty in the rural areas of Devon. As the war developed there came an increasing scarcity of food. Harvests were often bad and the great demands of the armed forces for foodstuffs further increased prices. There were times when prices reached famine level in the Devonshire towns, and even in the villages it was difficult for the poor to feed themselves properly. In 1796 came the first of the serious food riots when a mob gathered and marched to Bellamarsh Mill near Chudleigh and raided the mill for grain thinking the wealthy millers were responsible for the high prices. One man named Campion, previously a blacksmith, from Drewsteignton was caught and publicly hanged at Bellamarsh. The extension of the war and the industrial revolution where massive weaving machines were being used in the towns and cities, were closing many of the markets for Devonshire cloth and many of the wives in South Tawton had for hundreds of years subsidised their husband's earning by hand weaving cloth in their cottages. For generations the parish had responsibility towards its poor, money was collected from the landowners and then this was shared out amongst the needy of the parish by the overseer of the poor. This would include the old and sick. But in the 1790's there was a radical change, wages were below subsistance level and parishes found they had to then help subsidise the many desperate but proud people, who through no fault of their own were faced with starvation. The first mention of the Yeo family needing help was in 1793 when charity money was being given to parishioners with large young families and amongst the list were Robert Yeo of Boxhouse, his brothers Joseph Yeo of Zele, cousin Joseph Yeo of Dibhouse and brother, Richard Yeo of Addiscott. Then in 1805 tragedy hit the family, Susannah died giving birth to her seventh child, Joseph and on the day Susannah was buried, 14th April, 1805, Joseph was baptised. As well as a new baby to look after, Robert had the other children the youngest of which were only seven, six and three years old. Mary had already been apprenticed in 1803 at the age of 10 to William Preston a woolcomber. Apprenticeships meant that the children then became dependants of their new masters until they were 21 years of age. They would live with the family and be fed and clothed by them, in return for child labour in reality, although they did pick up certain farming skills. Until they were twenty one they would have had no real income and they couldn't marry without the master's permission. Robert's desperate struggle to keep his family together is well recorded in the South Tawton Poor Law books. However in 1808, Susanna then aged 9 was apprenticed to Mark Cann a farmer at Spitler, and John aged 8 to George Underhill. Robert followed in 1813, aged 10 apprenticed to William Hole of Addiscott but within weeks this apprenticeship was transferred to Mark Cann , by consent so perhaps Robert had been ill treated. Joseph was the last to leave home, apprenticed to Thomas Cann and John Moore at the age of twelve, with Robert's consent. Fortunately the children were all apprenticed within South Tawton so Robert would have had contact with them. 1. William Yeo born in 1788 in South Tawton and was buried there in 1839 at the age 51. William married Jane Lee in 1814 in South Tawton, Devon and she died there in 1826. William & Jane's children started to move out of the county in the 1840's. William and Jane's eldest son John , after a time in the Navy, was a game keeper at Haydon Lodge in Dorset . One of John's sons, Richard Curtis Yeo, emigrated to Australia and did well and another, John, joined the Navy and was commissioned. His son, Morytz Rodwell Yeo was a Lieutenant Colonel in the Army. Their second son William and daughter Elizabeth emigrated to Pennysylvania, USA in 1842 and on the 29 July, 1844, William then age 28, filed his intention to become a citizen of the U.S. and renounce the Kingdom of Great Britain and Ireland. He was coal miner and shoe merchant and helped finance the purchase of the land for the 1847 Primitive Methodist Church. He was also one of the ushers assigned to keep out babies and dogs and later served as a trustee. William became a school director and member of the St. Clair Council and was a local minister in the Primitive Methodist Church. His son William John Yeo , born in 1848 in Schuylkill, PA worked for his father and later opened his own shoe store. Elizabeth Yeo married John Payne 22 Feb 1846 Stoke Damerel Church, Plymouth, Devonshire. Their 1st child was William YEO Payne b. 7 January 1847, Plymouth, England. 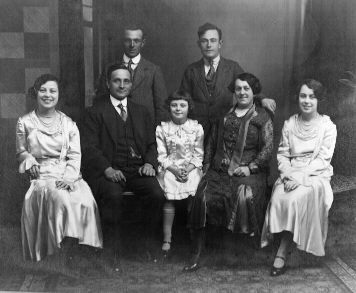 They immigrated 7 July 1848 to America on the Ship Forrest King from Liverpool and settled in the mining town of East Norwegian, Schuylkill County, Pennsylvania, USA. John Payne was killed 5 April 1852 in a mine accident. He left a wife Elizabeth, sons William Y. & John R, and one dau. Elizabeth Jayne Payne. Elizabeth married 2nd Rev. George Harris b. 25 March 1827 Bradfort, Wiltshire, England about 1854 Pennsylvania. Elizabeth Yeo Payne-Harris had these children:George Henry Harris b. 1856; Sarah Ann 1858; Rev. Charles Edwin 1859; Mary Emeline b. 1862; Ella Matilda b. 1866. All born in Pennsylvania.. Elizabeth d. 16 July 1906, Gordon, Schuylkill County, PA, USA. She is buried in the Odd Fellows Cemetery, Fountain Springs, PA. The third son, Joseph , moved to East Stonehouse in Plymouth and was a miller and Ann, their youngest daughter, married James Trace , a waggoner and remained in South Tawton. 2. Mary Yeo born in 1792 in South Tawton and died young in 1815. 3. Jane Yeo born in 1794 in South Tawton married James Redstone on the 16th March, 1814 in South Tawton and they remained in South Tawton. In the 1851 census their son James was an agricultural labourer with his cousin, Robert Yeo , at Whitestone Farm in Bovey Tracey. There are many descendants from this family still living in Devon. 5. 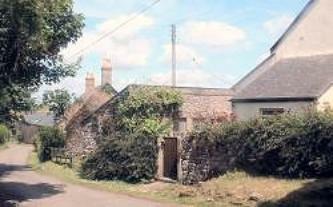 John Yeo born in 1799 in South Tawton married Jemima Way on 30 Mar 1823 in South Tawton, and they moved to Sticklepath. Their youngest son, William became a solicitor's clerk in Okehampton and their eldest son, James, married Elizabeth Stanbury and moved to Plymouth. James's son, George William born 1861 emigrated to America where there are many descendants still living. 6. Robert Yeo born on 9 May 1802 in South Tawton who married Ann Syms, many of their descendants still live in Devon. 7. Joseph Yeo, the youngest son , was born in 1805 in South Tawton and baptised on the 14 th April, 1805 on the same day his mother was buried. He married Elizabeth Finch and had two daughter, Harriet & Eliza. When Elizabeth died, he married Ann Westcott on the 27th December 1836 in Tedburn St Mary. Joseph settled in Tedburn St Mary and had children, George, Mary Ann, William, Ann, Susan and Joseph. George's daughter, Mary Jane, had an illegitimate son in Newton Abbot in 1892, called Owen George He lived with the family of the house where he was born, in Osbourne Street and when he married moved to Torquay, where there are still many of his descendants.